A new form of genetically modified wheat designed to use sunlight more efficiently, thereby boosting yields upon harvest, will be planted in UK fields this spring after the trial was given the go-ahead by regulatory bodies. The GM wheat has been modified to carry a gene found in stiff brome (Bromus rigidus), a wild relative of the traditionally-cultivated wheat strain (Triticum aestivum), which researchers at Rothamsted Research believe will enable the wheat to carry out photosynthesis more efficiently, resulting in more sunlight and CO2 being converted into grain. The Department for Environment, Food and Rural Affairs (DEFRA) have approved the latest trial following an application filed by Rothamsted Research last autumn which sought permission to carry out small field tests at a secure site in Harpenden between 2017 and 2019. The application came after rigorous testing in greenhouses resulting in a 20-40% yield increase. The field-based research project will be conducted in partnership with Lancaster University and the University of Essex, backed by funding from the Biotechnology and Biological Sciences Research Council (BBSRC) and United States Department of Agriculture (USDA). Despite Dr Hawkesford’s optimism, the plan is far from universally praised, as is often the case with GM crops. 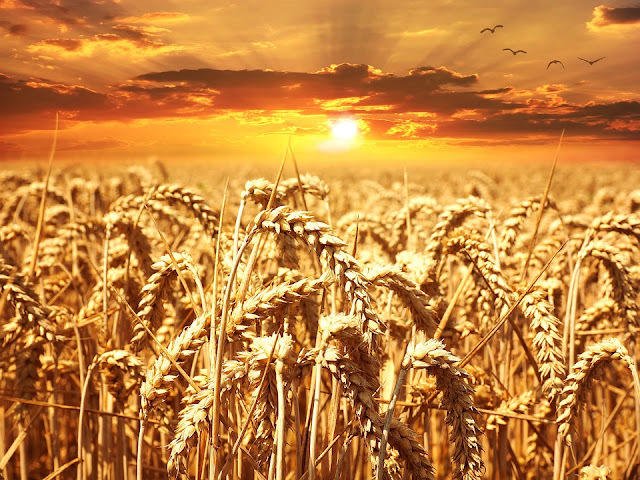 The main concern expressed by the 30 green organisations which have lodged complaints is that the new, modified wheat variety may escape into the wild, which could have a substantial effect on local ecosystems. They call attention to the various times this has reportedly happened in the US as validation of their concerns. Other critics, such as Liz O’Neill from GM Freeze, which describes itself as ‘the UK’s umbrella campaign on GM food, crops and patents’, see the trial as a drain on much-need resources that could be better used elsewhere.